Jeff Zucker-led CNN on Thursday swiftly fired contributor Marc Lamont Hill after he gave a speech at the United Nations on Wednesday backing Palestinian resistance. 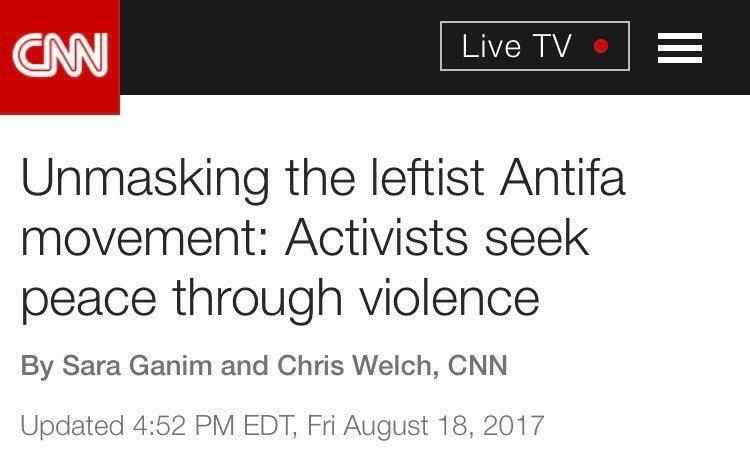 Incidentally, in the past CNN has run glowing profiles of antifa seeking "peace through violence" here in America. Don Lemon, Chris Cuomo and others on their network have also defended the group repeatedly. 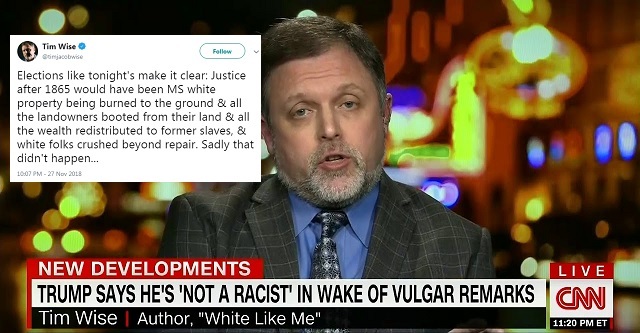 They also had no issue with CNN regular Tim Wise saying just two days ago after Republicans won the Mississippi election that "white folks" in their state deserve to have been "crushed beyond repair" and have their property being "burned to the ground" and "all the landowners booted from their land and all the wealth redistributed to former slaves." I wonder why there's such a double standard?